A middle school principal draws on lessons learned in policy creation to foster a strong school culture. One of the most powerful and important things educational leaders can do is develop a positive culture that is self-sustaining and focused on student outcomes. While this is often a herculean task, there are ways to approach this work that I’ve found to be successful. At one point in my career, I served as administrative liaison to a policy and planning committee in my district. For most, studying education policy is about as appealing as eating a stale saltine, but I relished the challenges associated with the work. During this time, I evaluated numerous policies and regulations, and began to understand the ways that policy impacts the work of educators. Education is, after all, a policy-driven profession. This insight sparked curiosity about the genesis of policy at the local, state, and federal levels. I also began to research the think tank model, which influences all aspects of policy creation. Initially, I assumed that policy creation and school culture were completely separate. As I strove to understand the mechanics of policy-generating bodies, though, I learned things that I could use to frame positive outcomes for my teachers, students, and administrative colleagues. Stakeholder input is foundational to any lasting growth. As a leader, I’ve found that a robust school climate committee is key to continuing progress and the development of a positive school culture. One of the great challenges with a committee of this nature is finding ways to maintain focus and drive through the ups and downs of discussion and growth. In my research I found that this is also an obstacle for think tanks, where diverging opinions must meld in an effort to achieve concrete outcomes. I find that implementing a framework of questions to direct meetings keeps us on track and focused. When discussing resources or access to information, I’ll often pose clarifying questions: What makes our school special? What makes it a great place to be? As we enter the stage of design and implementation, we must develop a questioning strategy that evaluates and measures our impact. Is this getting the job done? Can we prove it? If so, by what metric are we holding ourselves accountable for the well-being of our students? Because stakeholder buy-in cannot exist effectively in a vacuum, we must ask ourselves how we’re reaching our key audience. These questions are excellent for framing ideas and providing alternatives to current practices. If something isn’t working, it’s not necessarily a failure, but we do have to ask ourselves to reconsider our approach. When we consistently shape our decision making based on questions that open us to genuine reflection, we find success more often than not. When think tank members begin to work on a policy, they do so with the end in mind. In order to ensure that the policy’s impact is maximized, they measure the reality of the current situation against the aspirational goal and then work to close the gap. In doing this work, they seek to define their comparative advantage. A school likewise has work that it does exceptionally well—but there are also needs in the educational environment that are not being met. 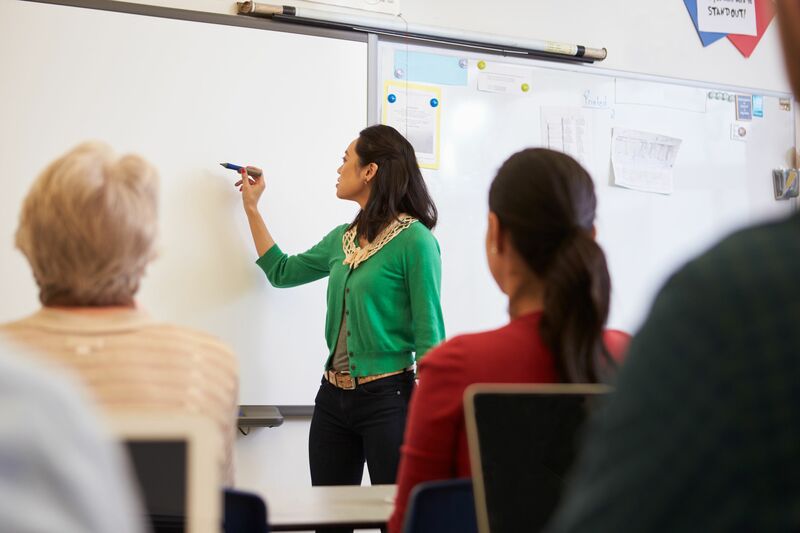 Teams of teachers, co-teaching pairs, individuals, administrative teams, or the whole staff can participate in the identification of current strengths and areas for growth. Communication is important so that the entirety of the efforts end with a clear vision for future action. With the identification of strengths and areas for growth in place, steps can be taken to improve the school’s culture and educational programs. This roadmap is extremely important. It can become an anchor to your work when the stormy seas that educators must navigate begin to churn. Knowing your school’s strengths will allow for thoughtful celebration and the honest appraisal needed for growth. While working with policy, I never expected to find ways that I could improve my school and my own professional efforts. I was pleasantly surprised to find techniques that helped focus our mission and allowed me to refine my approach further.